On day two the class moves to the water, and the learning experience takes on a whole new perspective. Woodruff demonstrates several ways to collect both airborne terrestrials, and waterborne organisms that are part of a fish’s diet. 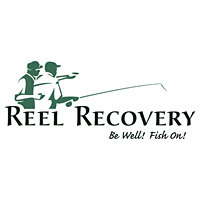 To him, it’s about taking the time before you begin to fish, to observe what nature is telling you as a fisherman, understand what you are seeing, and then convert that information into proper fly selections. That knowledge becomes more detailed as the class moves downstream, since the types of waterborne food sources change significantly as participants move to different locations downstream. Woodruff advises that just because a particular fly works up by the dam, don’t take for granted the same thing will work further downstream. “I was amazed how much of a difference there was in insect life from location to location. I have already thought of how I am going to change my fly selection, hook size, and presentation. I now see that in a few locations I have been using too big of a hook size, and after seeing and collecting samples, my flies are about two shades too dark in color too. I will definitely be lightening the colors up,” Baumbach said. 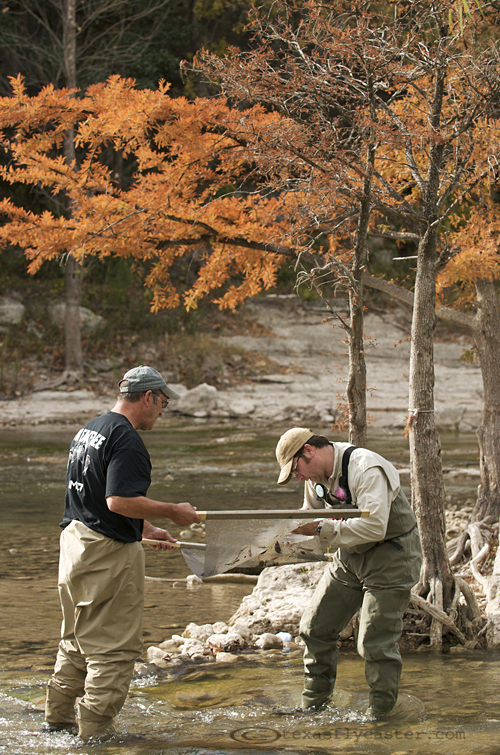 The overarching goal of this learning process is not merely to catch more of the easy “stockers”, but to have a chance at hooking older, larger more experienced trout that, on the Guadalupe, may have held over from the previous year’s stockings. Woodruff considers the fertile waters of Lake Fork in East Texas his home waters, although he also guides on the waters of Oklahoma’s Lower Mountain Fork in Broken Bow, Oklahoma. 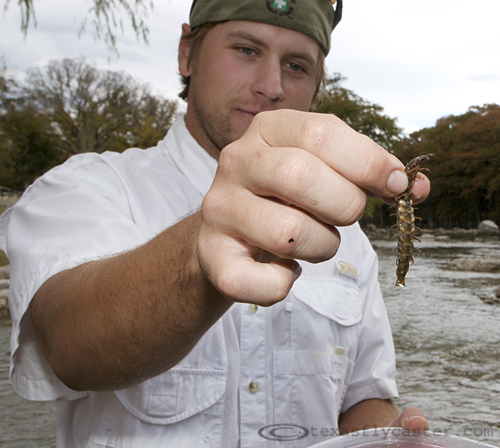 One of the more valuable aspects of Woodruff’s entomology lessons is they apply, in general terms, to all fresh waters, whether you are fishing the Guadalupe, Lower Mountain Fork, or a stock tank on the back forty. 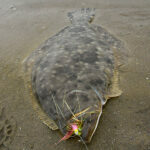 For more information about Rob Woodruff, you can find his website at www.flyfishingfork.com or at 903-967-2665.